Home » Blog » Is Painting Leaving You Breathless? We Canadians spend an awful lot of time indoors, actually about 90% of it. Our indoor air quality should therefore be very important to us. We are told to seal our homes to keep the heat in, in the winter, and the cold air in during the summer, this however, is the major cause of poor indoor air quality. The lack of fresh air, or exchange of air between the outside and inside is what can lead to indoor air pollution. Indoor air pollution is caused by a variety of sources such as cigarette smoke and humid or damp conditions in your home. These can easily be corrected by opening a window. Fresh air alone, however, won’t eliminate chemical emissions caused by volatile organic compounds (VOCs). VOCs are a class of chemicals that are emitted from many types of household products such as your new furniture, those harsh household cleaners, and yes, paint. VOCs can cause eye, nose, and throat irritations and headaches. In other words, this stuff is bad. It’s hard to escape from it though, so the next best thing to do is to recognize it in the items you buy and take preventative measures. The Canadian Government has introduced regulations that are aimed at protecting the environment and the health of all Canadians and has stipulated that the acceptable amount of VOC within a product is 100-250 grams. 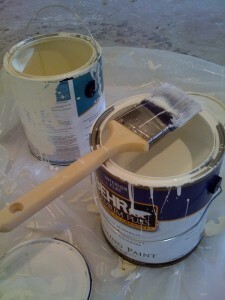 As a painter I always choose paint with a low VOC for all my interior painting jobs, for two reasons. I choose a low VOC first and foremost to reduce the amount of potentially harmful chemicals from entering my clients’ home. 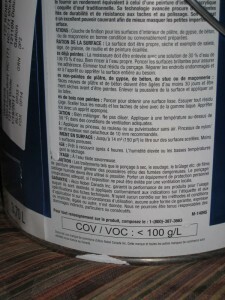 The second reason is that less ventilation is required because there’s little to no smell from this type of paint. 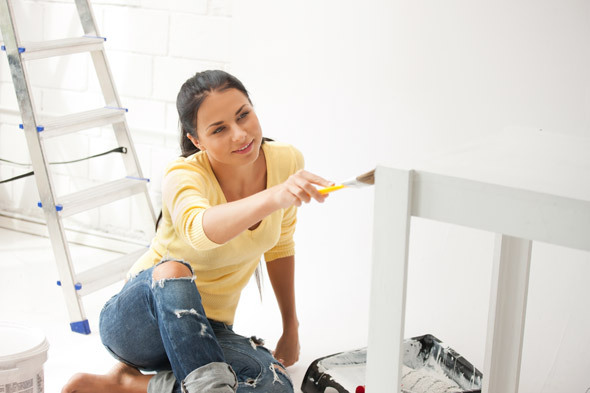 If you choose to do the painting in your home by yourself, make sure when shopping for paint that you choose low VOC paint. 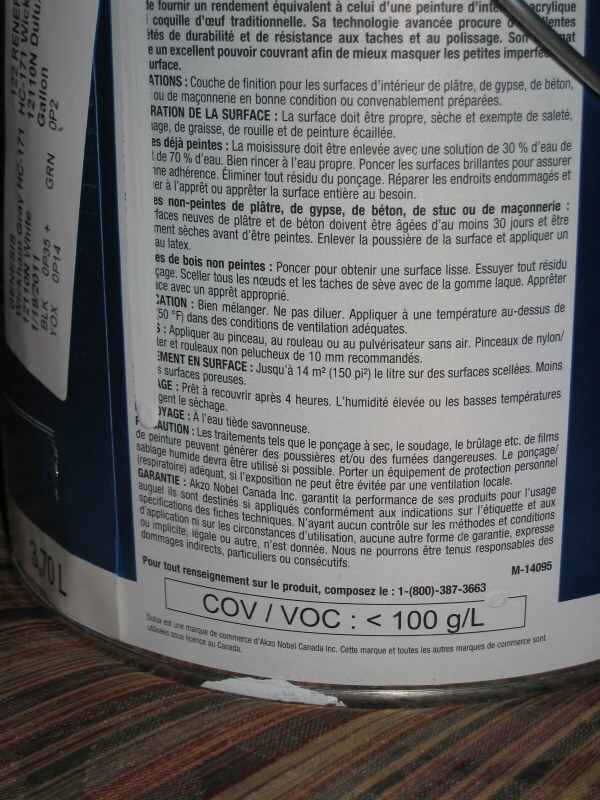 How do you know how much volatile organic compounds (VOCs) are in the paint you chose? Just check the label. Good luck in your painting project. I know it will turn out just right. One final point I would like to leave you with. Once you’ve finished your painting project, keep in mind that you should not dispose of any leftover paint in your regular household waste. Do not pour leftover paint down the drain, this will pollute the waterways. If you have any leftover paint, or partially used old cans, help the environment by disposing of them properly. Ottawa offers a program called Take it Back in which Ottawa businesses and charitable organizations take back specific used items from Ottawa residents.